Despite the urban trend of homes these days, the touch of nature will never be forgotten. It has consistently become part of every home even just by placing mere plants in a pot and some water feature. There are different ways of brining nature indoors. The creativity and skill of professional architects and interior designers will surely help one achieve a home with a different feel, they way homeowners want it. 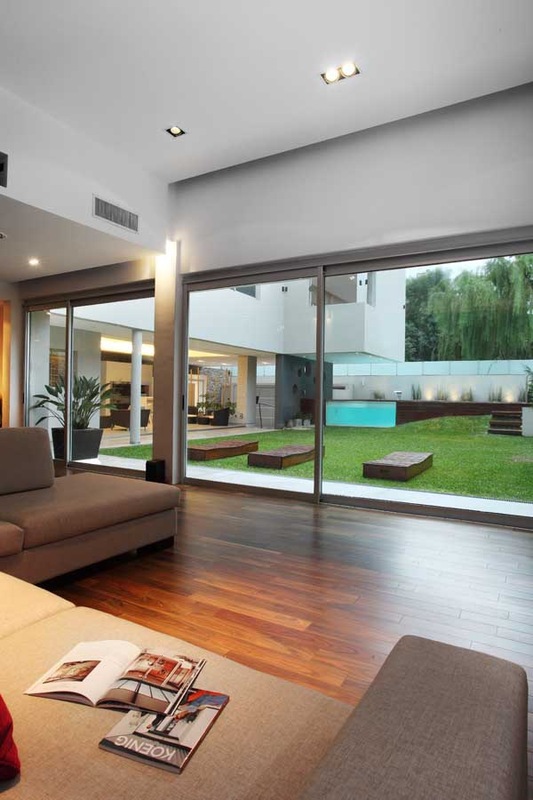 The Casa Devoto is an urban home with a nature style. It has a modern minimalist touch with its sleek look and clean lines. 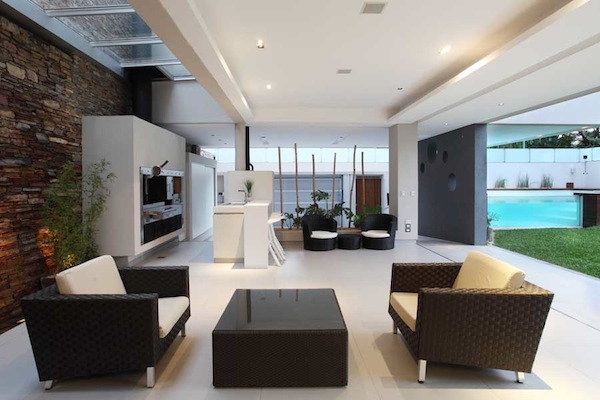 The interior of the house uses minimal furniture contributing in making the home look wider and larger. But the said space is actually not as large as we think it is. It is only a small area located between two existing structures when the home was just a dream. It was challenging for Andres Remy to design the house due to the location and the desire of the client to have an open space outside. But it was still resolved and a magnificent modern home was the result. 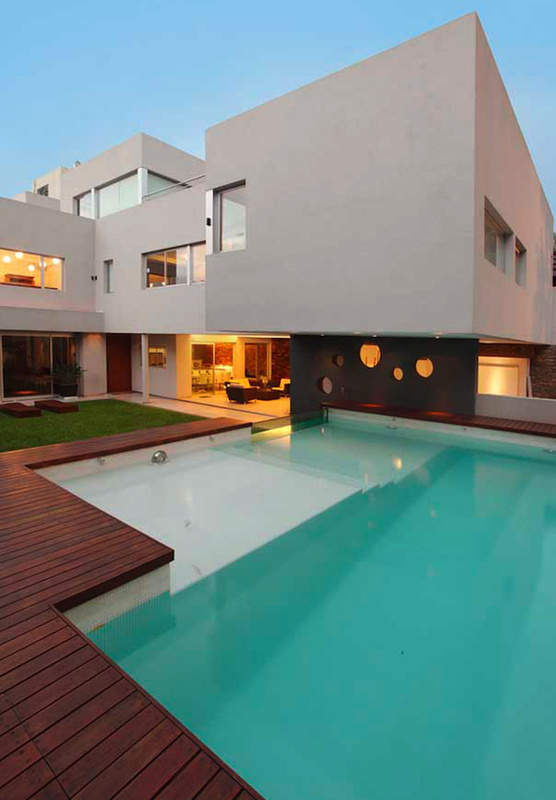 The focal point and highlight of the house is the outdoor pool. 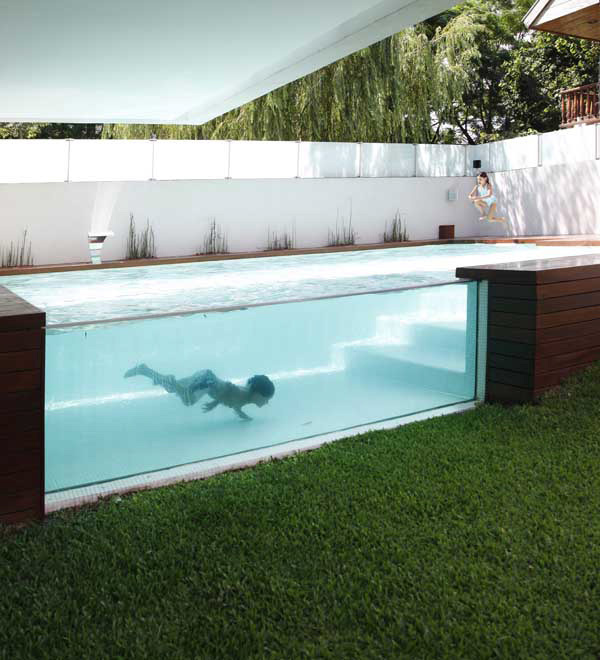 The pool is elevated from the ground and has a glass wall making it possible for anyone to view it from within and outside. Even those inside the house can see what is going on inside the pool especially that it is positioned a manner that it can be seen anywhere you are in the house. The position of the pool was determined by considering the path of impact of the sun. This way, they can swim whenever they want without being hit by the strong rays of the sun. This house is one of the best examples of an urban setting subtly combined with nature’s setting. Let us take a look at some parts of Casa Devoto. 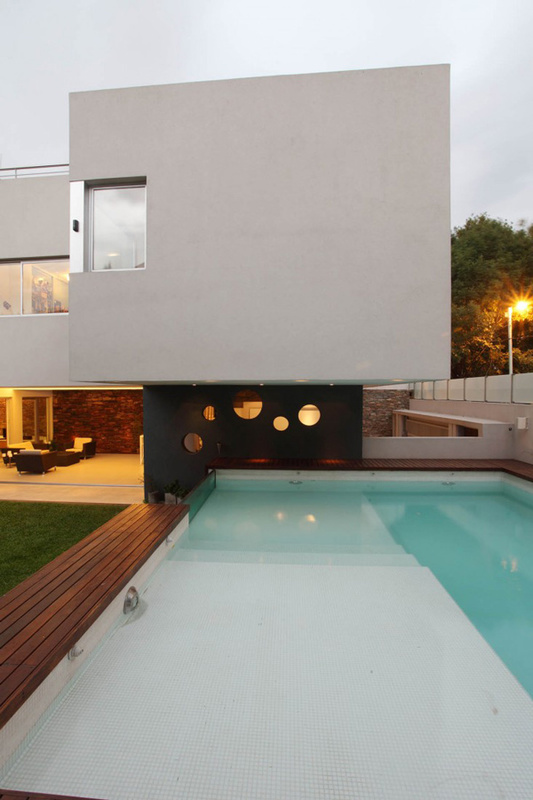 The white sleek modern house is given a different touch with its simple landscaping and unique outdoor pool. A closer look at the outdoor pool made of glass where a distinct accent wall of circle holes is seen. 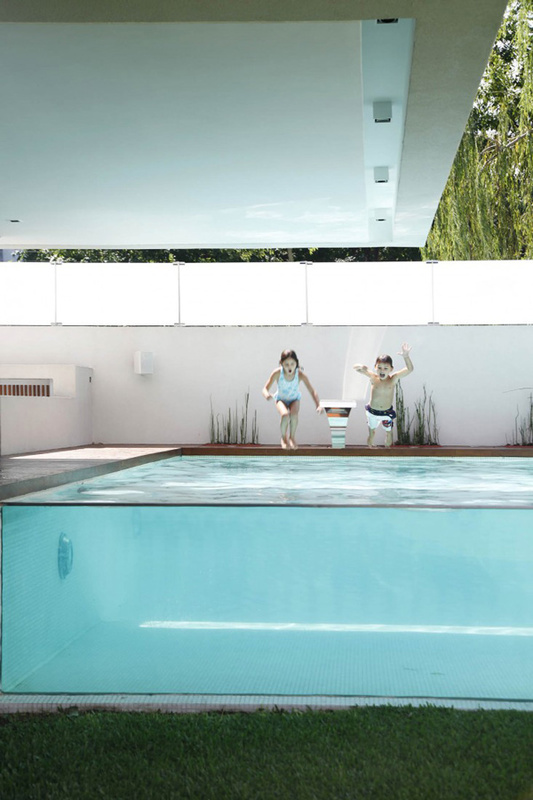 This pool is indeed inviting and it smartly used wood as a flooring which makes it slip free. One can surely see what is going on under the pool because of its usage of glass. Another view of the outdoor pool that is elevated from the ground showing the glass wall. One can watch from a distance what is happening while the kids are swimming. Wooden lounge areas that perfectly fit the urban green motif of the modern house. 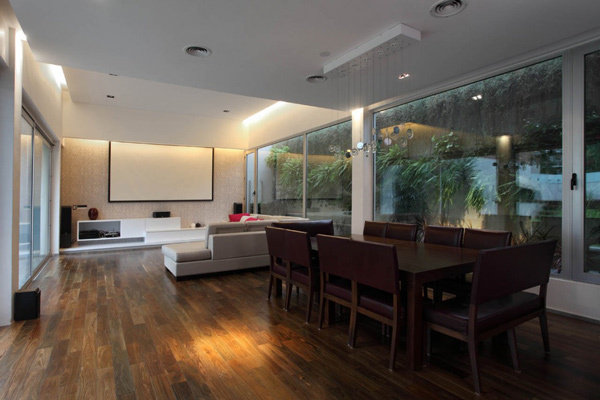 Wooden flooring inside the house gives a touch of nature while huge glass materials makes the house larger and well-lighted. Soft beige sofa in the living room for a relaxing mood especially with a view of the pool. 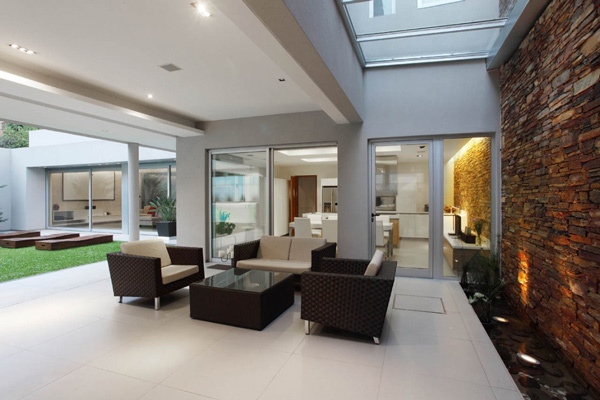 An open space layout with minimal furnishings making the area look larger. Also notice the use of bricks in the walls which made it look very appealing. 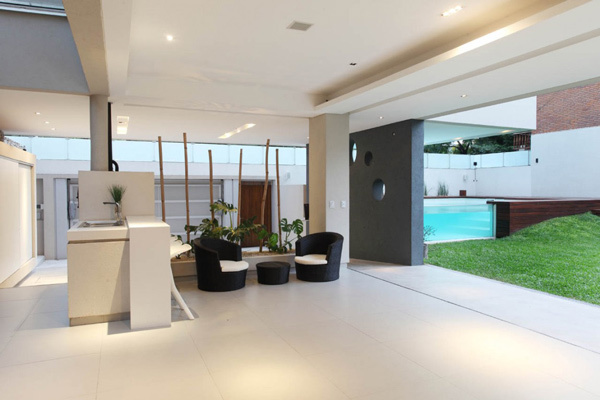 A seating area near the pool that brings in an outdoor touch with a water feature near the wall. Truly a combination of modern and green design as it used planters even inside this area. A living area with minimalist look and an effective red accent of throw pillows. Wooden dining furniture fits the room given a lighter touch with a simple chandelier. In the kitchen, you will find another dining area with white furnishings. It looks neat due to the clean lines and white splashback. 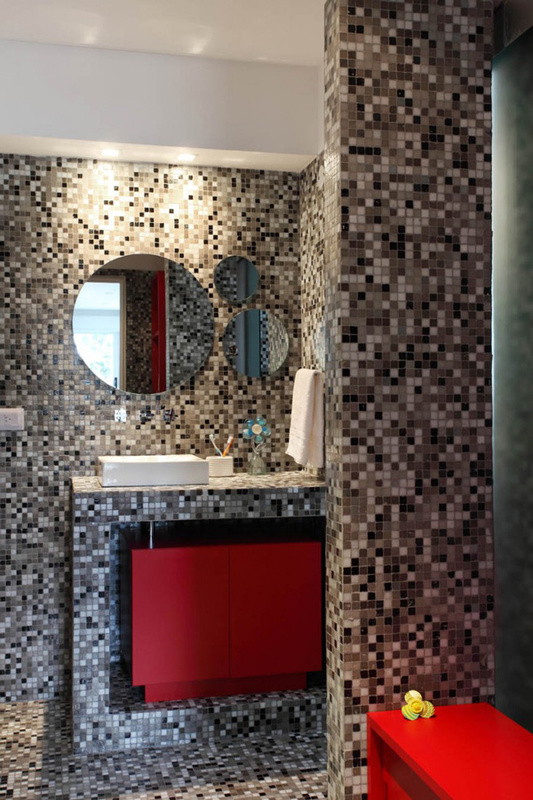 Mosaic tiles in the comfort room accented with red cabinet fronts and red furnishings giving it a sophisticated look. The house is not just well-designed but it was successfully given the nature’s touch. Even the interior was softened by using a water feature near the brick wall. It also used plants inside the house and arranged furnishings in a manner that it can give a good traffic. 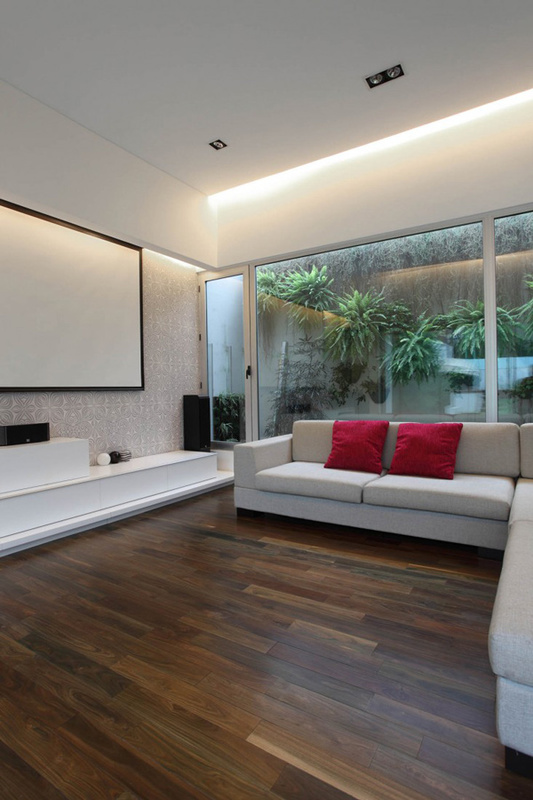 The simple interior of the house suits the lifestyle of the homeowner and looks even more relaxing. It is stress-free, simple but still sophisticated. Indeed, Casa Devoto of Andres Remy goes beyond the rigid setting but effectively translated the urban setting into a natural setting. It created a conventional urban home with a spacious living giving the homeowners the best of both urban and natural setting.